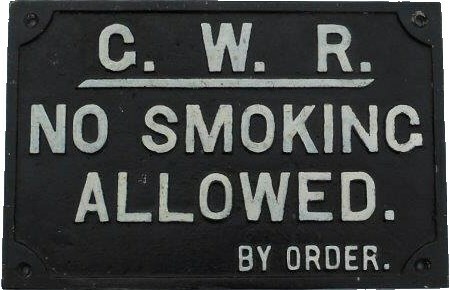 Lot 185 C/I GWR Notice. "NO SMOKING ALLOWED". Front restored. Not common. Size 18" x12".